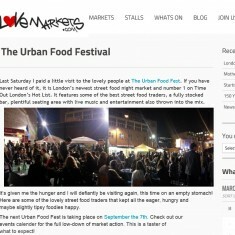 I paid a little visit to the lovely people at The Urban Food Fest. 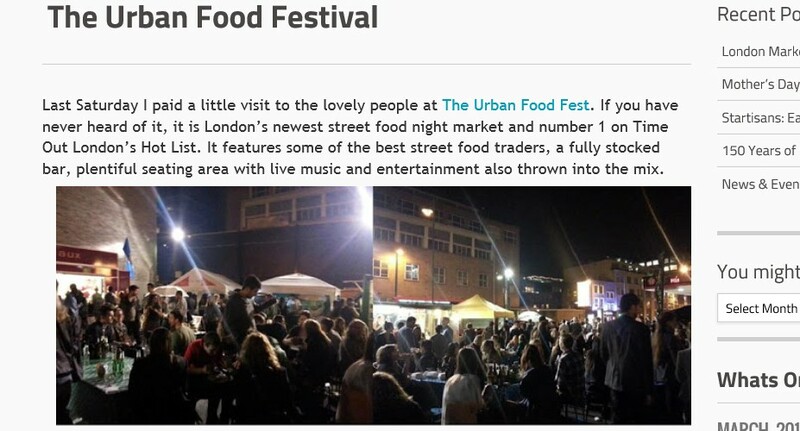 If you have never heard of it, it is London’s newest street food night market and number 1 on Time Out London’s Hot List. 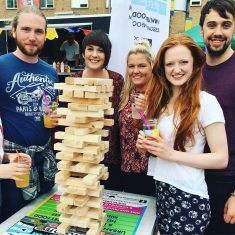 It features some of the best street food traders, a fully stocked bar, plentiful seating area with live music and entertainment also thrown into the mix. 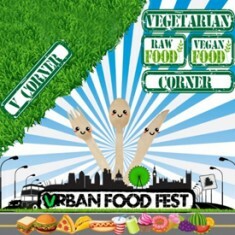 It’s given me the hunger and I will definitely be visiting again, this time on an empty stomach! 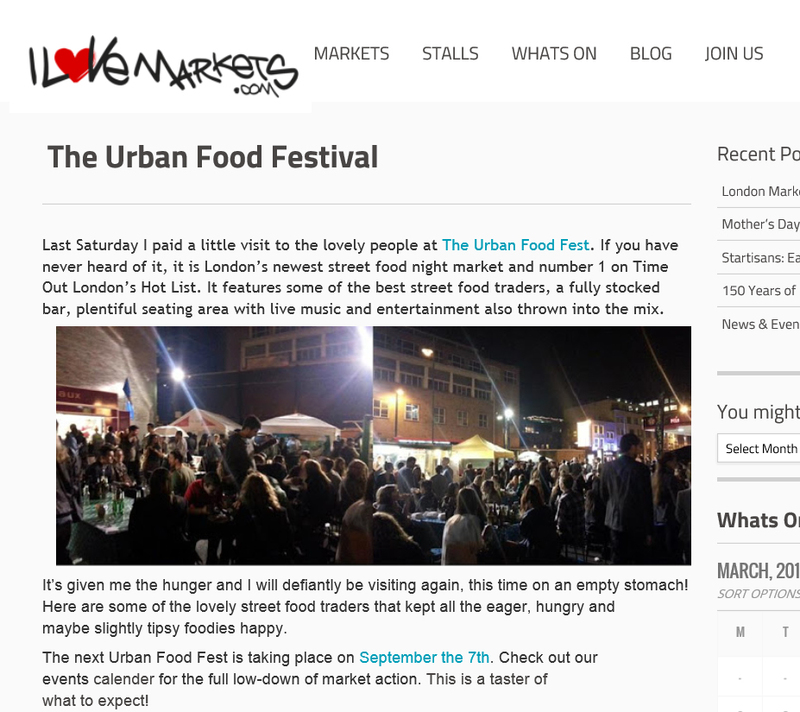 Here are some of the lovely street food traders that kept all the eager, hungry and maybe slightly tipsy foodies happy. There are handcrafted pastries, macaroons, cakes and confectionery. Some conventional… some not so conventional. Unfortunately by the time I arrived most of what the conventional had been snapped up (rightly so). I ended up faced with a Wasabi and Passion fruit macaroon. Now, I do not enjoy and therefore consume either of the ingredients, but after a few convincing words from there master-chef Vincent, which mainly consisted of “pretend it’s not passion fruit and wasabi.” I decided to go for it and you know what, it wasn’t half bad! The jerk chicken truck keeps to its traditional roots mainly selling rice and jerk chicken. Luckily they still had some remaining for me to try! The jerk sauce came with an amazing kick. I was being polite and just took a small portion, and yes… I live to regret the politeness. 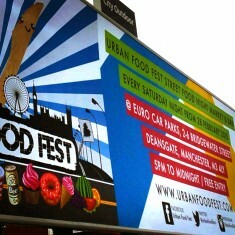 True home style cooking turned street food! The French street food stall is Very traditional. 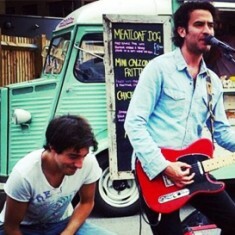 When I popped to their stall the choice was impossible. After a lengthy decision, breaking the ‘oh no it’s still sunny in September diet’ and holding up the queue, I opted for a Vanilla Slice. A decision I will never regret. Now I just need to visit and see them at the market for more tasty treats. First thing to say about the monster pizza box is WOW! 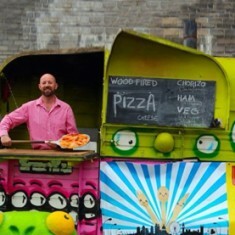 This monster/horse box/wood-oven was rolling out non-stop amazing pizza all night long. There was nothing but queues of hungry people constantly all waiting to taste the delights that a wood oven in a horsebox can make! 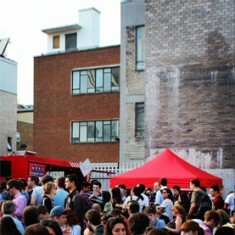 The Argentinian street food truck… my favourite of the whole evening. I was lucky enough to arrive in time to a fresh batch of chicken and beef empanadas. To be entirely honest in my naivety, I wasn’t entirely sure what I was eating. But I sure am glad I did. 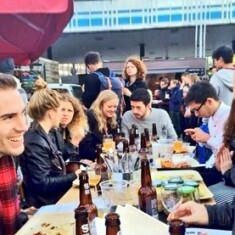 It was the most prefect, flavoursome easy to eat street food. My boyfriend insisted to go back and buy more! The Korean trucks specialises in marrying American street food classic with Korean marinades to make awesome favour combinations. When speaking with them about their food and how it was made, these flavoursome feats sound entirely unique to Busan. 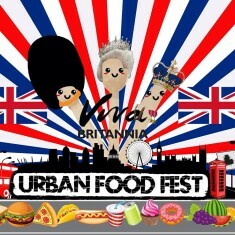 I’m still dreaming of trying their spiced pork belly burger now, I will be hunting them down at the next Urban Food Festival in hope of trying one!